This new initiative has been introduced to bring together the global KTM Adventure communities. With six KTM Adventure Rallye events now taking place all over the world, two lucky Riders from each Rallye participating country will qualify to take part in the KTM ULTIMATE RACE . . .
That’s right - 12 lucky Riders will win the opportunity to race each other in a Dakar Series event at the Merzouga Rally 2019 in Morocco! The fully supported ride for each person includes flights, accommodation, entry fees, as well as a KTM 790 ADVENTURE R to race on, with a full race service. Competitors will be given a fantastic opportunity to be coached by some of the world’s finest and fastest offroad bikers and to be treated like Factory supported riders during the trip in which they will negotiate some of the most epic terrain. AND - the winner of the KTM Ultimate Race will receive an incredible prize of a 790 ADVENTURE R and 2 VIP packages for the Dakar Rally! As the Merzouga Rally takes place immediately after the 2019 KTM Australia Adventure Rallye, there will be a stand-alone qualification event to find the two Australia representatives. 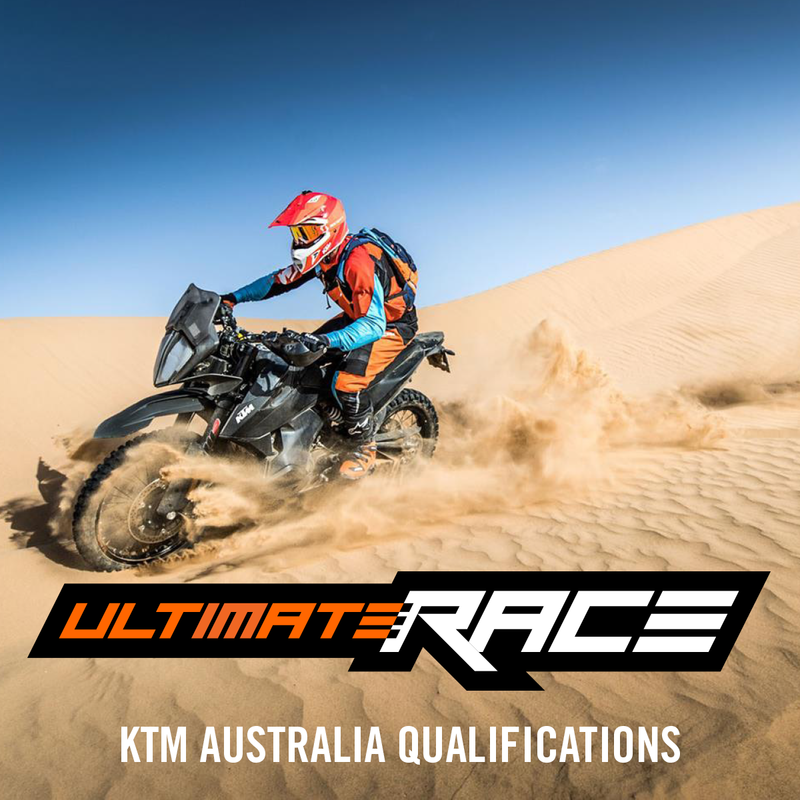 So KTM Australia is excited to announce the the KTM ULTIMATE RACE QUALIFICATION event, run by Transmoto Events at the 12-Hour Batemans Bay, March 1st - 3rd 2019. Full Event Participation Terms & Conditions are available at www.ridektm.com.au.